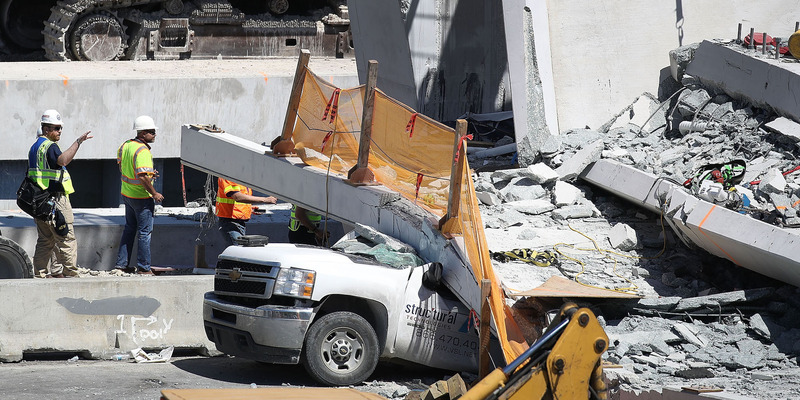 In his voicemail to the FDOT, Pate said, “obviously some repairs or whatever will have to be done,” but Pate indicated the work was not urgent, saying “from a safety perspective, we don’t see that there’s any issue there,” before adding that the cracks were indeed a problem that needed to be addressed. The Florida Department of Transportation released a transcript of Pate’s message on Friday. The bridge had been heralded as a “marvel” of modern construction before the collapse, due in part to a method of construction that allowed the company to build it quickly and with minimal disruptions to area traffic.